Unique 5. 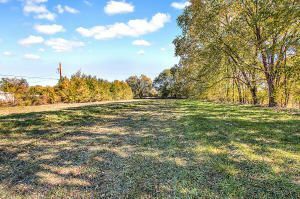 03, acre investment property in north valley. City water and sewer, gas and electric power on property. Access via 2nd street and hacienda near rear of property. Rec considered with 20% down and 3 year call. Zoned-1. Acreage presently irrigated and cultivated in alfalfa. Shaded meadow with partial mountain views. Subdivision to 4 lots possible or rezone for live/ work lofts or. 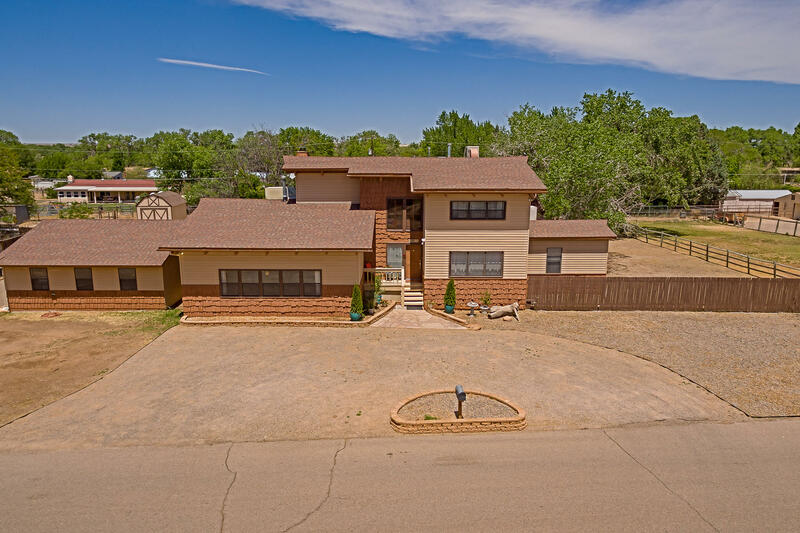 ?easy access to i-25 via paseo del norte. Low priced acreage for the north valley. Opportunity knocks. Rec considered at right terms. Exceptional style & design! Courtyard entry leads to foyer w sweeping stair case, custom railing, marble plaster, well appointed chefs kitchen w jenair bronze appliances. 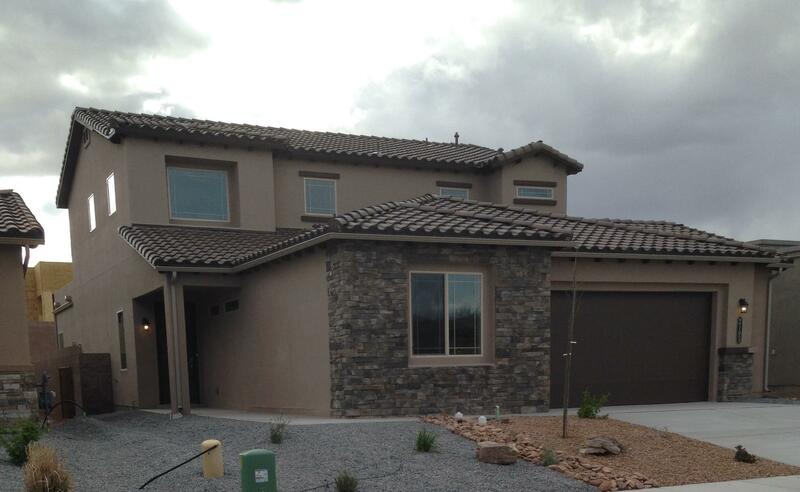 Double oven, gas range, dw, custom cabinets, granite counter tops, huge island. Walk in pantry, wet bar. Family rm has raised beam ceilings, sep cozy lr w kiva frpl & wood floors. Downstairs master suite has lg walk in closet designed by california closets. Upstairs 2nd mst suite perfect for extended family or guests. Light and bright loft w access to office and wrap around balcony. Unobstructed mtn views. Upgrades include pella windows w builtin blinds. Custom doors, surround sounds. 2 hvac units, finished garage. Desirable gated community. Quality is in every detail of this stunning custom build by mario perez. 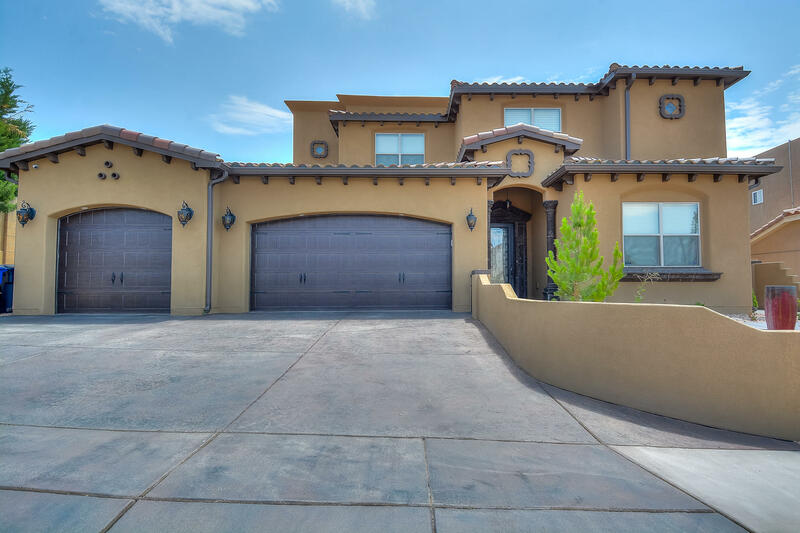 Featuring 3,767 sf with 5 bedrooms, 4 bathrooms, a loft and 3 car garage! Travertine flooring throughout the 1st floor main living areas! 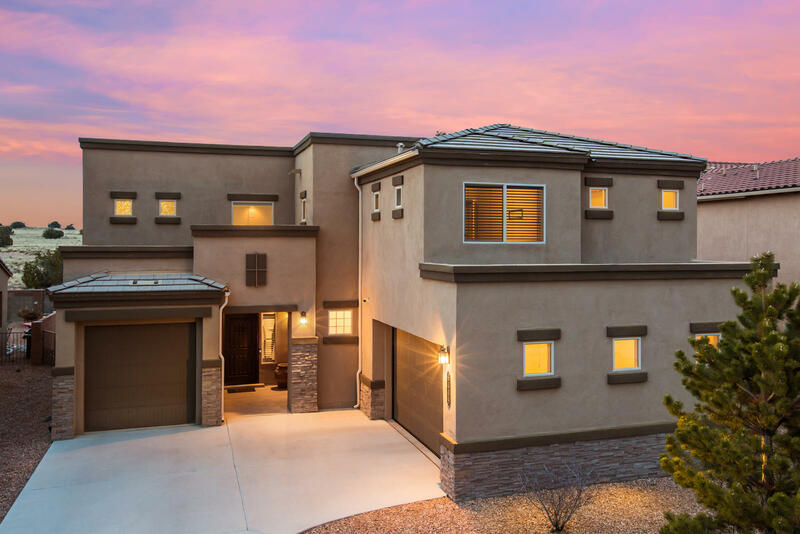 Incredible gourmet kitchen with high-end cabinetry and crown molding, granite counter top and backsplash, built-in over/microwave, gas cooktop, custom range hood and a massive island! Dining area with custom beam ceiling and roman columns. Living area with high ceilings and a gas fireplace. Breathtaking 1st floor master suite with dark hardwood flooring! Private bath has an oversized vanity, dual sinks, custom mirrors, a jetted garden tub and walk-in shower with surround! Upstairs loft w/ wrought iron rails. Enjoy being outside under the covered patio or sitting on the balcony! Very unique one of a kind far north valley horse property or hobby farm! Beautiful kitchen with lots of storage, butcher block island, stainless appliances, pantry, and breakfast nook with built in buffet. Four/five lrg bedrooms. Lrg rooms with vaulted & beamed, tongue and groove ceilings. Potential in-law suite with a separate entrance, furnace and master cooler, walk in closet, loft, full bath, laundry, and hook ups for a potential kitchen area. Exterior boasts beautiful gunite pool with cover, 2 stall barn with hay loft, irrigated grass pasture, 2 irrigation wells, shed, 3 car detached garage/ workshop with additional 1 car detached garage, rv pad with sewer h/u. This is a great place to call home! Well maintained beauty located on paradise bluff. 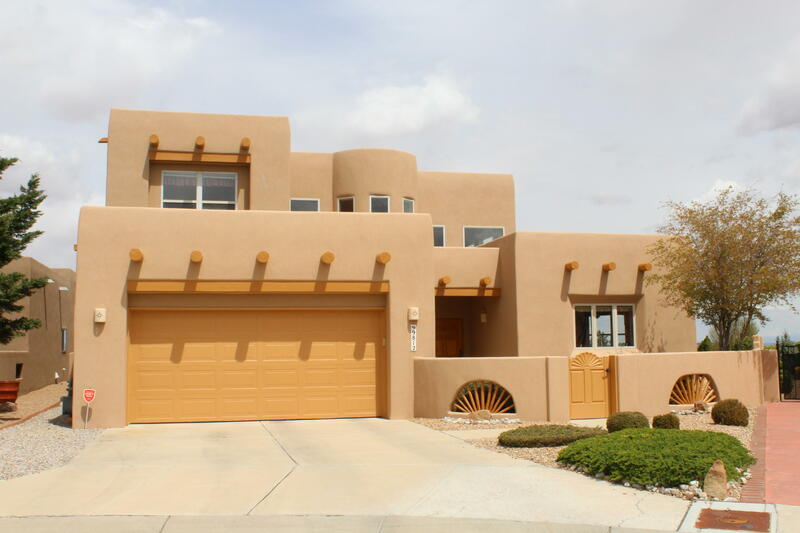 This 4 bedroom 3 bathroom home is located in a cul de sac. You enter home through a darling courtyard. Through the front door, is the great room adorned with a raised ceiling and soaring windows. Come home everyday to the breath taking views of the city and mountains. To the right of the great room is the grand kitchen and adjacent dining area. Through dining area you can step out to the backyard where you can enjoy the stunning views in the hot tub under the gazebo lights. To the left of great room is access to the second floor that lead to two bedrooms, loft and jack and jill bathroom. Master bedroom and 4th bedroom are located on main floor. Award winning home with ''best kitchen'' honors. Built in 5 burner gas cooktop on large granite island built in microwave and oven with stainless steel appliances. The kitchen is open to living room family room has 22' raised ceilings. This home has the wow factor. Did i mention master bedroom down with 3 additional bedrooms up. The loft is open to below with great coffered ceilings. You will love to show this house to family and friends. With a 3 car garage you will have plenty of space for storage and cars. All this and green build new mexico quality and energy savings. Tank less hot water with recirculating pump and timer for instant unlimited hot water. You deserve the best. Come look today! Welcome to beautiful stormcloud estates. Located minutes from i 40. Large lots, quiet location, and high end bronze series built homes. 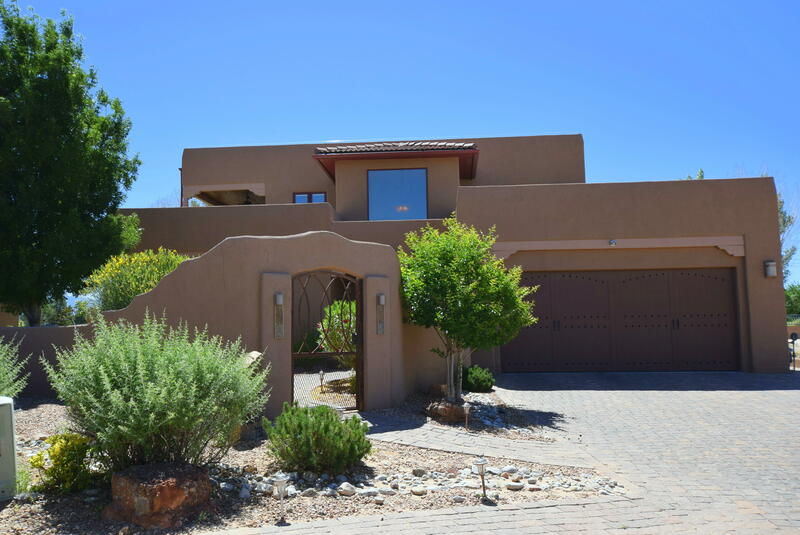 This home features a pitched barrel tile roof and views of the mountains from the loft. 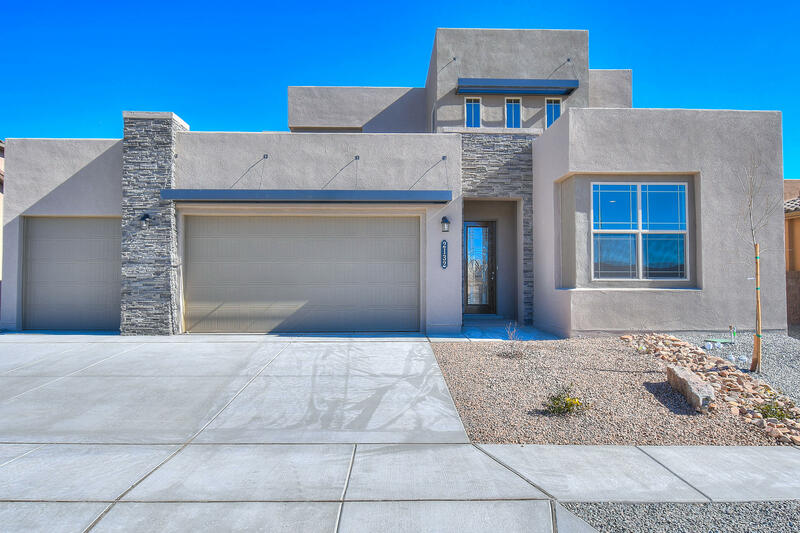 8 foot doors are just one of the many standard features offered in this premier community. Magnificent open plan custom home. Half-acre pie-shaped lot on the top of the hill makes for amazing views and excellent privacy. Two bedrooms with private bath on main floor and four bedrooms upstairs, hot water radiant heating, refrigerated air, open kitchen with island and stainless steel appliances, amazing master bedroom with deck and spacious bathroom with whirlpool tub and glass block shower, a large loft with wet bar and easy back yard access. Heated garage not included in square footage. No hoa or pid. 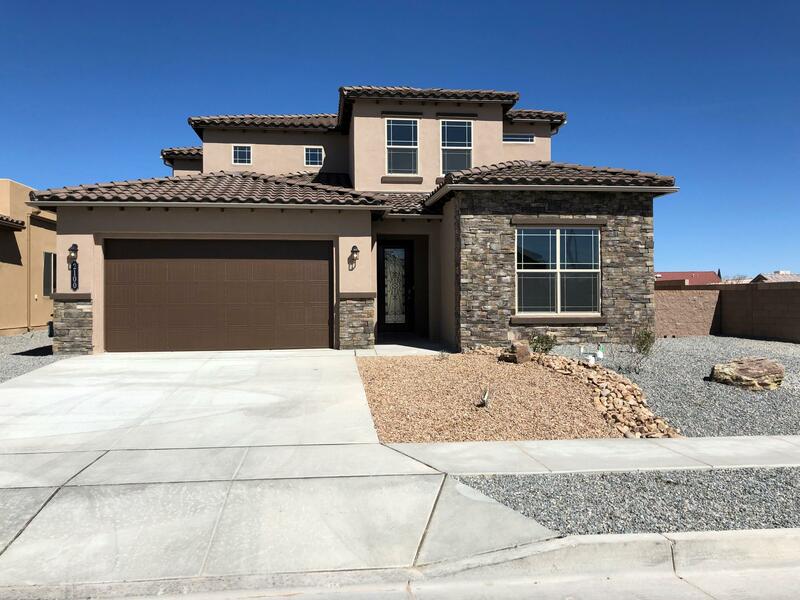 Gorgeous la cuentista dr horton mccabe floor plan with three car garage, bedroom with 3/4 bath downstairs, master bedroom retreat with fire place, theater room loft, deck, cooks kitchen with oversized pantry and island. Ge profile appliances included and covered patio, outdoor living area with bbq. Privacy galore!elementary school: tierra antiguamiddle school: tony hillermanhigh school: volcano vistayour dream home awaits! Master bedroom suite is down stairs with additional suite down. Loft overlooks family room with soaring ceilings. Huge kitchen and family room expanse. Green build heating and cooling comfort year round. Tankless hot water produces unlimited hot water on demand. Let the energy savings begin. Great house close to down town and freeway access. This home has 3. 5 baths for greater convenience. Over sized 2car garage. 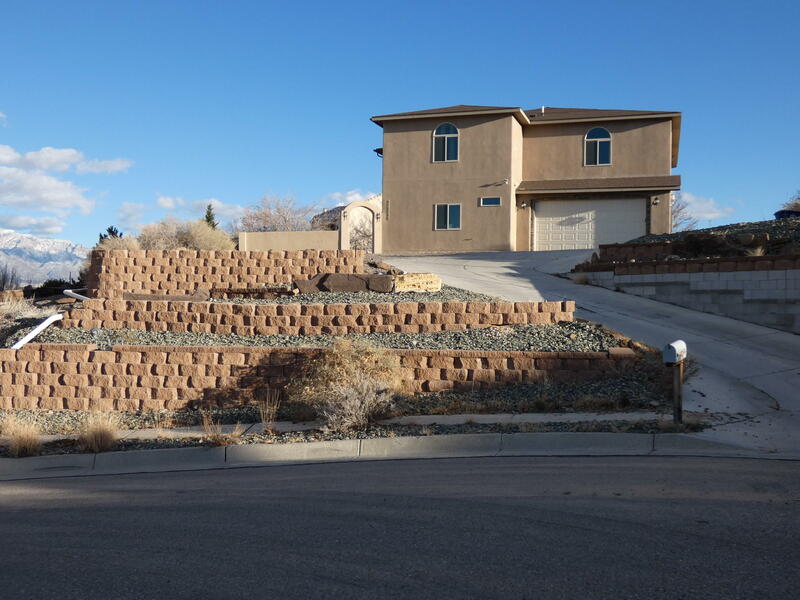 As of today, 4/19/2019 the average home price for homes for sale in Northwest Albuquerque And Northwest Heights is $274,858.